Railway Board offers opulent and revered job posts to its aspirants. 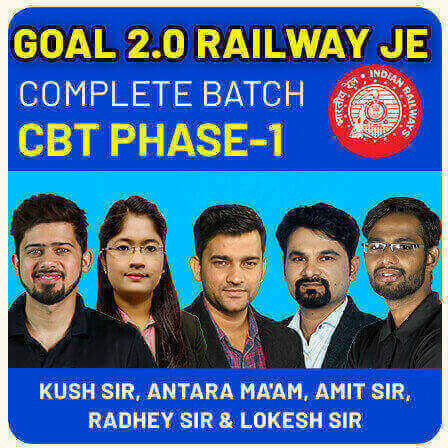 And it is not every year that we get the notification from Railway offering a good number of vacant seats to the multitude aspirants. But the last year 2018 brought a pleasant surprise with almost 1,27,278 seats to be filled by the valid candidates and 13,487 seats in year 2019. Opportunity is here but you have to welcome it with a provident strategy. Sol. Diamonds have a very high refractive index (about 2.42 compared to about 1.5 for glass). The amount of light reflected at an air/other material interface is related to the refractive index charge at the interface and the bigger the refractive index change, the more light is reflected. Thus, diamond reflects large amount of light and therefore, sparkles more. Q2. Butter paper is an example of …….. object. Sol. Butter paper is a translucent object as it allows light to pass through it partially, thus not providing clear vision. While, a transparent substance allows light to pass through it completely providing a clear vision. Whereas, an opaque substance is impenetrable to light. On the other hand, luminous objects emit their own light. Sol. A vibrating body will produce sound which is dependent upon the frequency. Sounds of frequencies less than about 20 vibrations per second (20 Hz) cannot be detected by the human ear. Such sounds are called inaudible. On the higher side, sounds of frequencies higher than about 20,000 vibrations per second (20 kHz) are also not audible to the human ear. Sol. SONAR or sound Navigation and Ranging is helpful for exploring and mapping the ocean because sound waves travel farther in the water than do radar and light waves. These also determine the time between the emission of sound pulse and its reception, the transducer can determine the range and orientation of the object. While, LASER is a device that emits light through a process of optical amplification based on the stimulated emission of electromagnetic radiation. Whereas, sonic boom is the sound associated with the shock waves created by an object travelling through the air faster than the speed of sound. On the other hand, reverberation is the prolongation of a sound. Sol. Sound travels in the form of longitudinal waves. These waves travel in the form of compressions and rarefactions. Sol. The mirror by a dentists to examine the teeth of patients is concave as concave mirror given upright and magnified image of the object. While, image formed by a convex mirror is upright but diminished. On the other hand, image formed by plane mirror is of the same size as the object. Q8. Sound above what level (in decibel) is considered hazardous noise pollution? किस स्तर (डेसीबल में) के ऊपर की ध्वनि खतरनाक ध्वनि प्रदूषण माना जाता है? Sol. A sound’s loudness is measured in decibels (dB). Normal conversation is 60dB and more then 80dB are harmful, depending on how long and how often one is exposed to them. Sol. The light wave with shortest wavelength i.e. violet refracts the most. Sol. In a three pin plug longest pin should be connected to ground terminal. Ground pin is the largest to supply the additional voltage that can give electric shock. And being the longest it can touch before live and neutral terminal. © 2019 SSCAdda. All rights reserved.